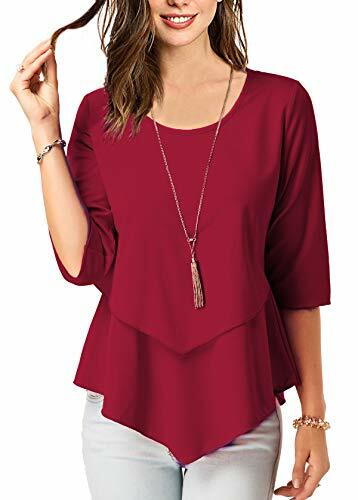 This Flowy shirt is suitable to wear on daily/work/occasion.The fabric is breathble and soft,not easy to wrinkle/go out of shape,you must need one on the closet. Notice:There is 2-3% difference according to manual measurement. Please check the measurement chart carefully before you buy the item. Occasions:This tunics suit for work,daily,vocation...Classic-fitting,make you elegant and charming. If you have any questions about this product by BETTE BOUTIK, contact us by completing and submitting the form below. If you are looking for a specif part number, please include it with your message.